Moist to wet. Forests, prairies, fens, marshes, river banks, streambanks, roadsides, railroads, disturbed sties. Full sun. 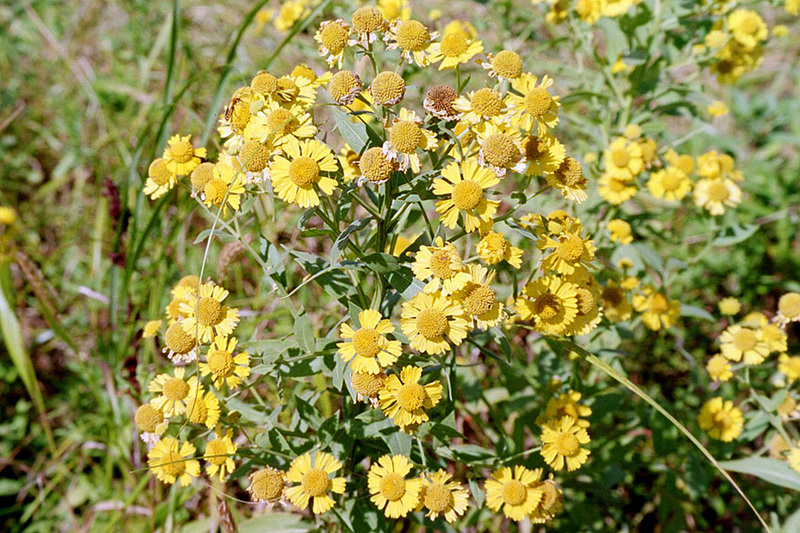 This is a 24″ to 60″ tall, erect, perennial forb that rises usually in a single stem, sometimes on 2 to 7 stems, from a shallow, fibrous root system. The stems are erect or ascending, winged, and branched above the middle. 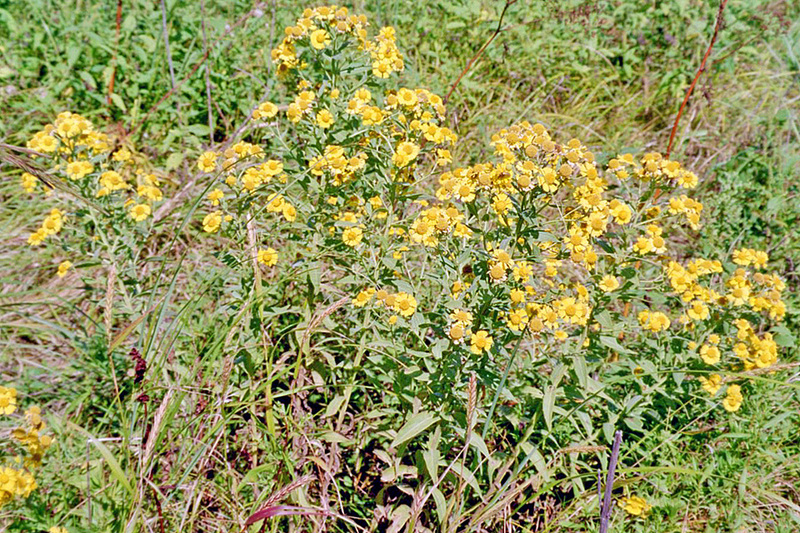 Above the middle the stems are moderately to densely covered with short, spreading to ascending, somewhat curled hairs. They are also moderately covered with yellow, stalkless or impressed glands. Below the middle the stem is sparsely to moderately hairy. Stem leaves are alternate, stalkless, numerous, and spread outward. 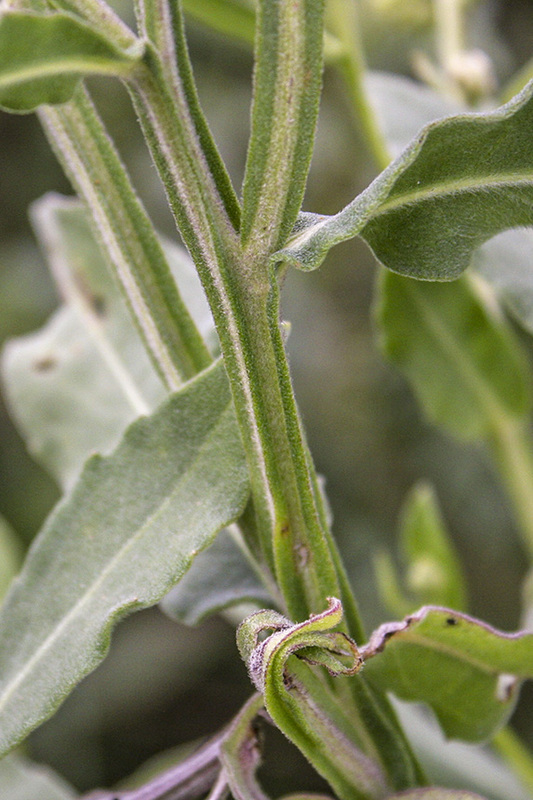 The leaves are longest at the middle of the stem, becoming slightly smaller as they ascend the stem. The upper and lower surfaces are sometimes hairless but are usually moderately to densely covered with short, mostly spreading, sometimes curved hairs. 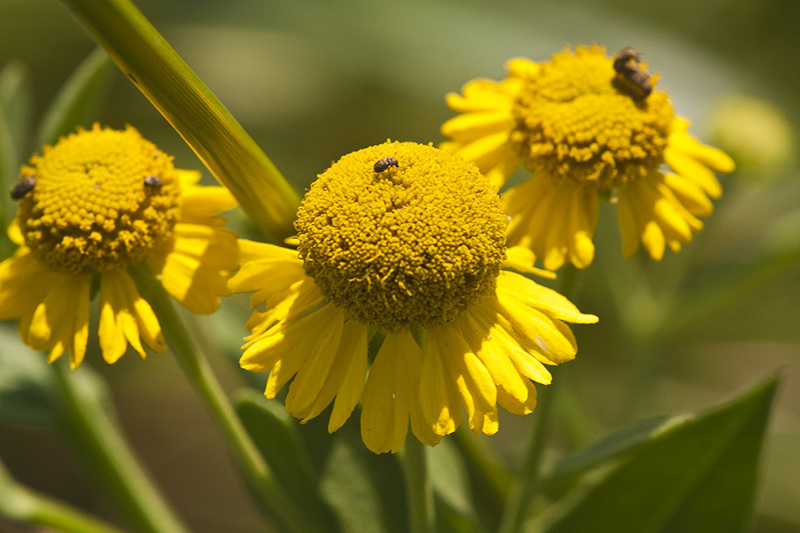 They are also densely dotted with yellow, stalkless or impressed glands. 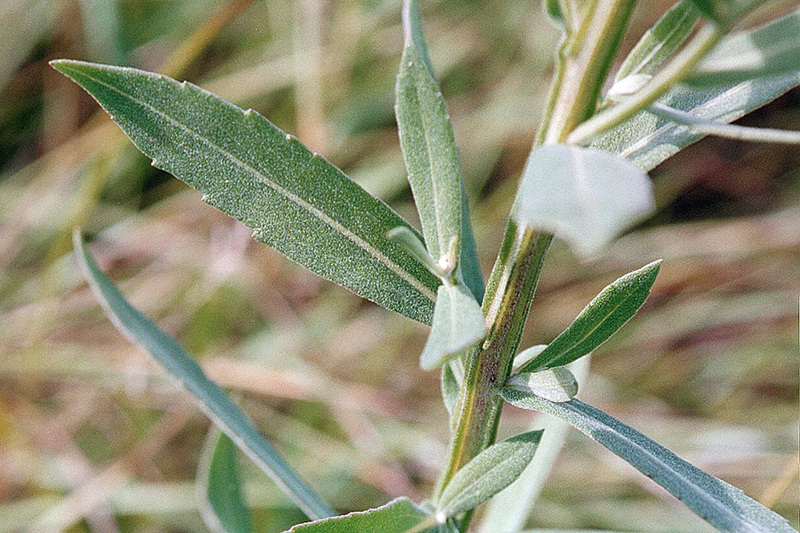 Middle and upper stem leaves are 1½″ to 6″ long, and 3 ⁄16″ to 2″ wide. 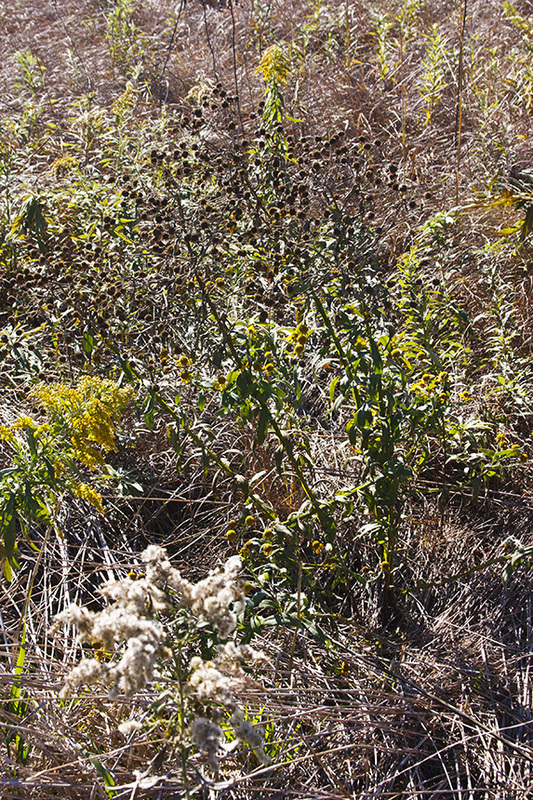 Basal and lower leaves are somewhat smaller than middle stem leaves. Basal leaves are lance-shaped, inversely lance-shaped, or inversely egg-shaped, and are sometimes cut with shallow, rounded lobes (pinnatifid). Lower and middle stem leaves are inversely egg-shaped to inversely lance-shaped. They are tapered at the base and angled or taper to a sharp point at the tip. The base of the leaf blade continues down the stem as a narrow, green wing. The margins are either untoothed or are toothed often only above the middle of the blade. Upper stem leaves are inversely lance-shaped to lance-shaped but otherwise similar to middle stem leaves. 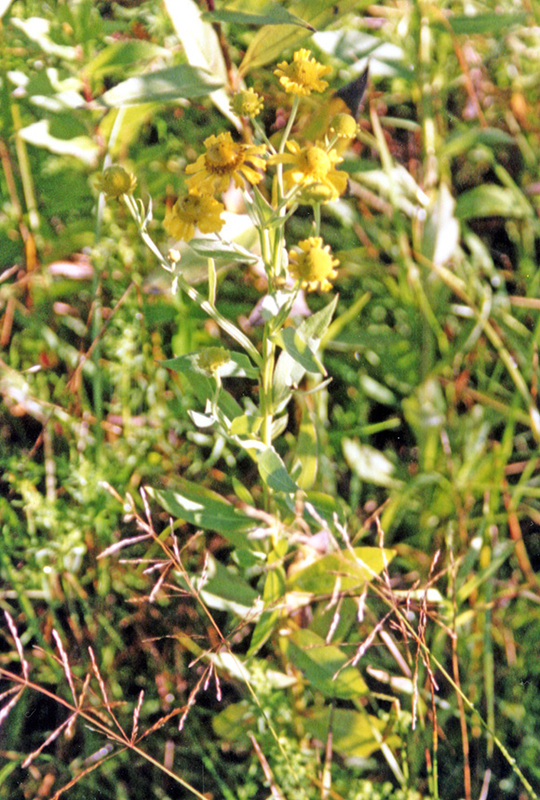 Basal and lower stem leaves are absent or withered by flowering time. The inflorescence is 2 to 25 flower heads in open, leafy, branched, panicle-like clusters at the end of the stems and branches. Each cluster is on a ¾″ to 3″ long, sparsely to moderately hairy stalk. The whorl of 15 to 21 green bracts at the base of the flower head (involucre) is globe-shaped, 5 ⁄16″ to ⅝″ long, and ⅜″ to ⅝″ in diameter. The bracts of the involucre (phyllaries) are in 2 series. 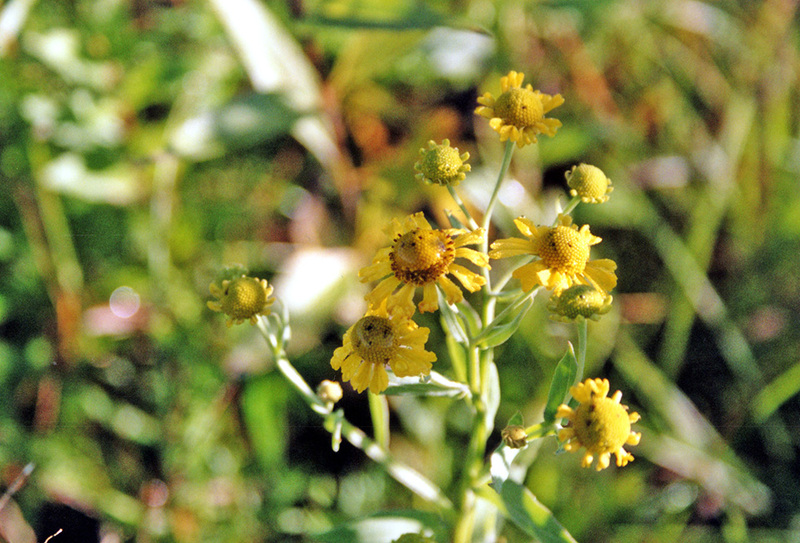 The outer phyllaries are fused at the base. 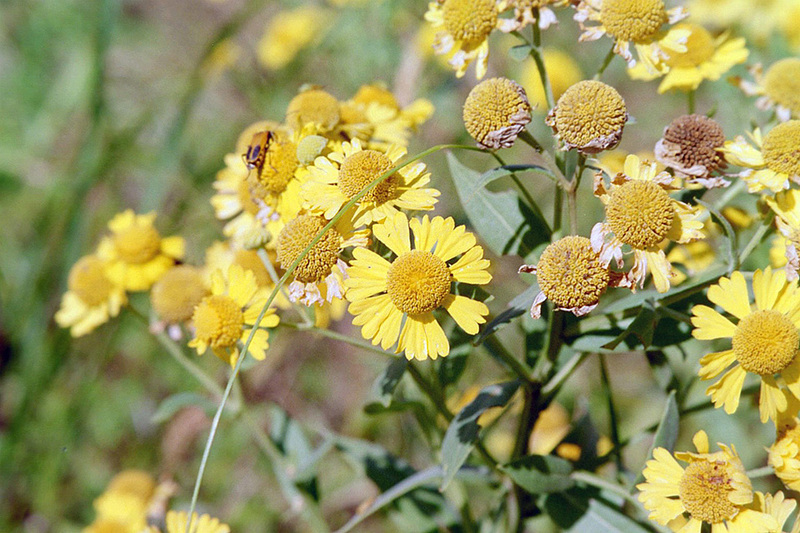 Each flower head is 1″ to 2½″ in diameter. There are 8 to 21 ray florets and 200 to 400 or more disk florets. 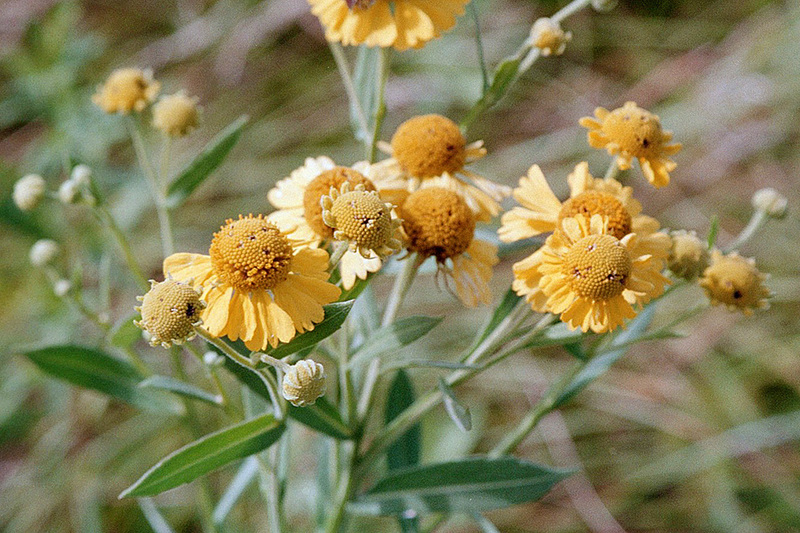 The ray florets are yellow, ⅜″ to 1″ long, ⅛″ to ⅜″ wide, and double notched at the tip. They are narrow at the base and taper evenly to a broad tip. The disk florets are yellow and form a large, globe-shaped, sometimes somewhat flattened disk. The fruit is a dry, one-seeded, 1 ⁄16″ long seed capsule (cypsela) with a tuft of 5 to 7 short bristles (pappus) attached to the end. 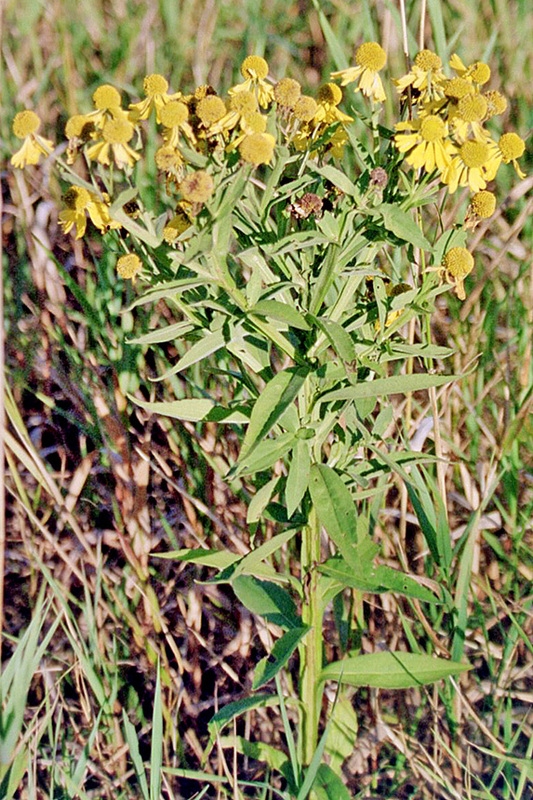 Purple-head sneezeweed (Helenium flexuosum) leaves are mostly erect. Disk florets are purple or brownish-purple. 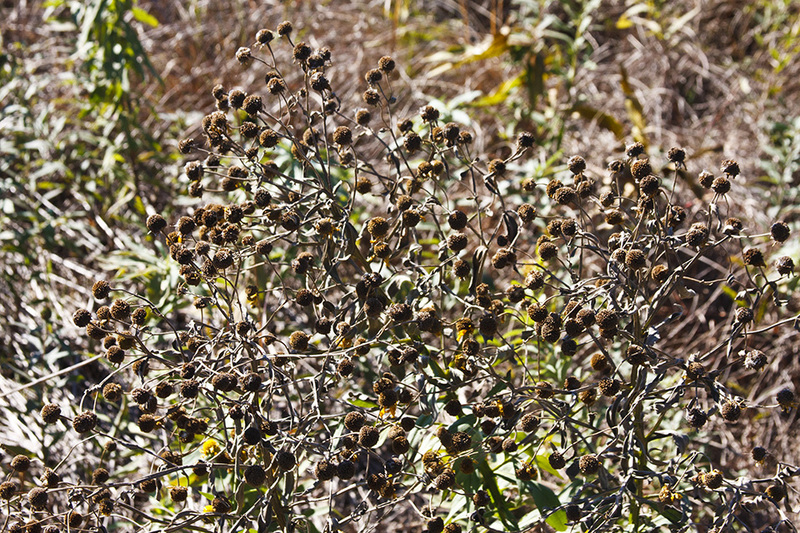 The plant has been recorded only in Carlton County.